Home » Startup Career • Startup Hire • Startup Tips » What are Hackers looking for when they join Startup? Most developers, also called as ‘hackers’ when approached to join a new startup, would in all fairness wonder – what type of gamble would I be taking if I agree to join? It is a fair question and if truth be told, a gamble. But there are many positive reasons why hackers should grab the opportunity and get involved in a startup. To back up such a decision however, one should not go in with blinkers. 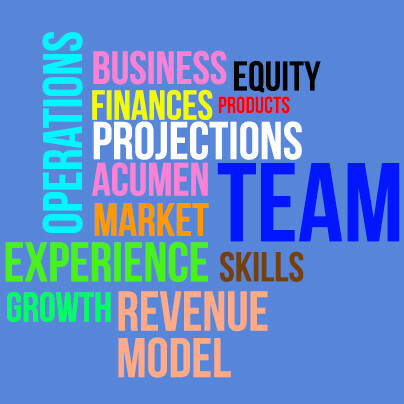 Basic information about the startup – its finances, projections, staff, business acumen etc. – should be looked into and then an informed decision should be made. Some of the questions to be asked before joining a startup would be: What is the product being sold and would you as a customer be interested in buying it? Has the startup done enough research on the product and its potential target market? Does the startup have a clear picture of how it will operate? What is their growth or revenue model? How much equity is being offered to cover the time and effort put in? As a startup it may take time to bring in regular revenue; can you afford to wait till the company gets on its feet to get returns? What about the staff already in place – what is the level of their skill and experience? Is it a good team with good dynamics and complementary skills? Joining a startup as a hacker, you will have the benefit of working with a smaller team and will get more opportunities to influence key decisions and voice your opinion. Also joining at the nascent stage you will have the opportunity to get stock options and become part owner in the startup. Since startups start on a modest scale, jobs and workloads will be switched around, so you could benefit from experience in different areas and expand your knowledge. All the staff in a startup will be new better camaraderie will prevail with a united push to launch the startup successfully. This initial push is the battle cry and the purpose of the people involved to launch a successful company. Some developers may shy away from joining a startup because of the time factor. If market trends are poor and are going through a bad time, they may not want to take the risk. But maybe that is the right time to join a startup – when other companies too are going through a bad patch and the startup has a chance to start on an even footing. It could be like buying stocks when the prices crash and then waiting for them to rise when the market regains strength. Startups need less time and are not weighed down with established norms to hamper their upward climb. Developers can look for growth, faster access to the top spot, monetarily gain (even if it takes a while to come), more freedom at work place, friendly and casual working environment, extensive learning of business machinery, more accessibility of the management hierarchy, business networking, creative freedom and a lot of fun when joining a startup. One of the reason why a hacker may hesitate when it comes to investing in a startup company would be qualms as to whether the company has enough commitment and technical know-how to go from the first baby steps into a full-pledged startup. What if the company has to fold up in its early stages? For this reason it is important to make a thorough study of the company’s manifesto – weaknesses and strengths – potential and products – assets and liabilities. After completing such a study it is found that the startup has a reasonable chance of succeeding, it is definitely a good idea to join the bandwagon in its infant stages. The risks are few and the advantages are many. The job market for startup companies is very strong. With so many startups sprouting up, developers have a wide range to choose from if they decide to join a startup company. It could prove a low risk high return decision. Read also: What Entices Talent to Join another Startup Competitor?